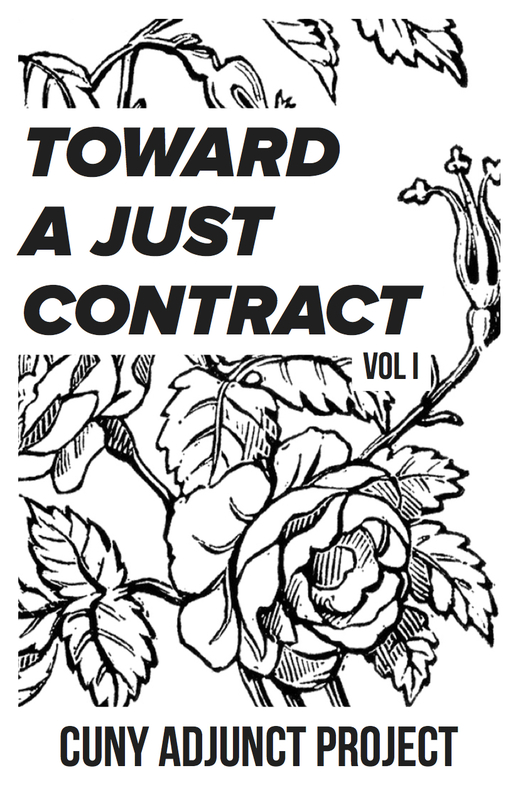 Toward a Just Contract—The Zine! 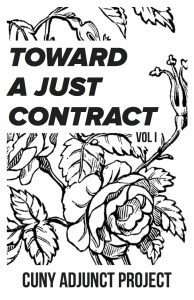 Last fall, the Adjunct Project launched its “Toward a Just Contract” campaign, orienting our events and programming around the question of contract justice taken as broadly as possible. As a final project for the semester, we put together a zine that includes, among other things, the results of the adjunct and grad student worker survey that over 200 of you participated in. You’ll be invited to a release party at the beginning of the next semester, but in the meantime you can check it out on our website here. UPDATE: The release party is Wednesday, Sept. 27, from 6-8p, in room 5409. Hear from contributors, have refreshments, help create the next zine! Facebook event page here. We’re looking forward to continuing to fight together with you for a just contract, this summer, in the fall, and as long as it takes!